This post is a follow up on Interim situation to continue a bit longer for DNA retention about the progress made regarding the general obligations binding the UK following the unanimous ruling against it in the European Court of Human Rights (ECtHR) two years ago. The UK is still to put an end to the breach identified by the ECtHR, the obligation of cessation. Back in 2008, in Don't delay: Delete your DNA today, I suggested that no legislative change was necessary to comply with this obligation, a simple amendment to the Association of Chief of Police Officers (ACPO) regulations would have sufficed. The police took no such action and still retain, for an indefinite period, DNA of as many individuals - innocent and guilty alike - as they can collect. The Government are committed to adopting the protections of the Scottish model for DNA retention. In particular, we are examining whether the provisions of section 23 of the Crime and Security Act 2010 should be brought into force. 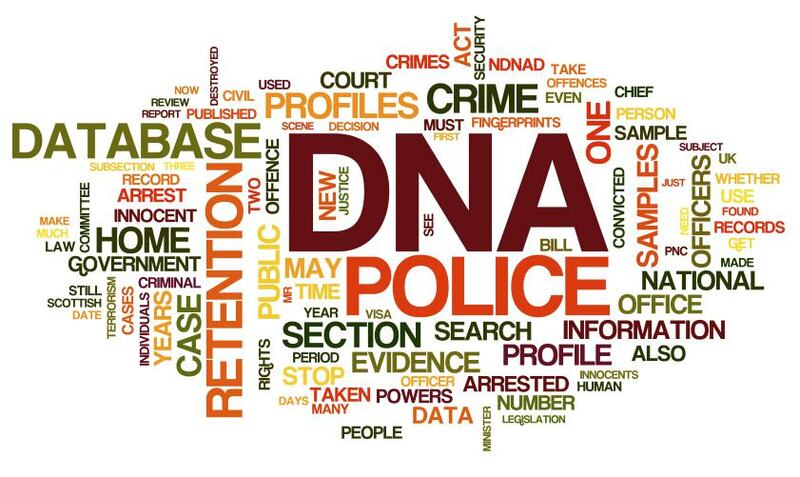 This would empower the National DNA Database Strategy Board to issue binding guidance to chief police officers on the types of case in which deletion would be appropriate. We will bring forward our detailed proposals shortly. The Secretary of State must make arrangements for a National DNA Database Strategy Board to oversee the operation of the National DNA Database. The National DNA Database Strategy Board must issue guidance about the immediate destruction of DNA samples and DNA profiles which are, or may be, retained under (a) the Police and Criminal Evidence Act 1984, or (b) the Police and Criminal Evidence (Northern Ireland) Order 1989. The following must act in accordance with any guidance issued under this section (a) any chief officer of a police force in England and Wales; (b) the Chief Constable of the Police Service of Northern Ireland. The Secretary of State must publish the governance rules of the National DNA Database Strategy Board and lay a copy of the rules before Parliament. The National DNA Database Strategy Board must make an annual report to the Secretary of State about the exercise of its functions. The Secretary of State must publish the report and must lay a copy of the published report before Parliament. The Secretary of State may exclude from publication any part of the report if in the opinion of the Secretary of State the publication of that part would be against the interests of national security. New legislation is necessary to prevent any further violations in the future; the obligation of non-repetition. The coalition government keeps repeating that it will adopt the protections of the Scottish model in its Freedom Bill - with no further additional details. How significant the planned changes to primary legislation will be is not yet known, but they will have to be sufficient to be acceptable by the Committee of Ministers when it next reviews UK's compliance with Strasbourg's rulings. Issue: Whether the continued retention of the DNA, fingerprints and a photograph of GC and of the DNA, fingerprints and information on the police national computer in respect of C, violates their rights under Article 8 of the European Convention on Human Rights. Facts: The Association of Chief Police Officers’ 2006 guidance gives Chief Officers the discretion to delete information on the police national computer (‘PNC’) and to destroy DNA and fingerprints, ‘in exceptional cases’. In S and Marper v United Kingdom (2009) 48 EHRR 50, the European Court of Human Rights held that the United Kingdom’s powers of retention of biometric samples gave rise to a disproportionate interference with Article 8 rights. The Respondent acknowledged this decision but said that until Parliament changed the law, his policy would not change. The Government has indicated an intention to change the law in this area. The Respondent continues to retain DNA, fingerprints and a photograph of GC, which were taken when he was arrested in December 2007 on suspicion of an offence in relation to which no further action was taken. The Respondent continues to retain DNA and fingerprints of C, as well as information about him on the PNC, following his arrest in March 2009 on suspicion of offences, in respect of which either no further action was taken or the prosecution offered no evidence at trial. The Divisional Court dismissed the applications for judicial review on the basis that it was bound by the decision of the House of Lords in R(Marper) v Chief Constable of South Yorkshire Police  1 WLR 2196. The 2004 Lords ruling was a majority four-one decision. The 2008 judgement was delivered unanimously by the Grand Chamber seventeen judges of the ECtHR. The Supreme Court considers the issue it will have to decide upon complicated enough that seven Lords, two more than usual, will hear the case: Lord Phillips, Rodger, Brown, Judge, Kerr, Dyson and Lady Hale. Lords Rodger and Brown, and Lady Hale were sitting in the House of Lords in 2004 for the S and Marper ruling; Lady Hale had the dissenting opinion. Bootnote 1: Earlier this week, the BBC in its current Justice - a citizen's guide season showed The Highest Court in the Land: Justice Makers (still available on iPlayer), a documentary about the Supreme Court with interviews of Lord Hope, Phillips, Kerr and Lady Hale. Bootnote 2: The Supreme Court hearings are filmed, but unfortunately the videos are only 'available to mainstream broadcasters and educational establishments' for cost reason. Adam Wagner on the UK Human Rights blog asks 'It would be useful to know how much it would cost to convert all of the footage automatically. It does sound like a task which could be automated, but who knows.' If you do know and are in a position to help make this happen, please do get in touch with Adam Wagner who has implicitly volunteered to liaise with the Supreme Court on this!